When you’re ready to begin searching for a used car, there’s nothing more important than being informed about how to properly prepare. And no matter if you’re looking for a powerful truck, a dependable SUV, or any other type of vehicle, you want to arrive at the showroom knowing how to identify the option that’s best for your family. 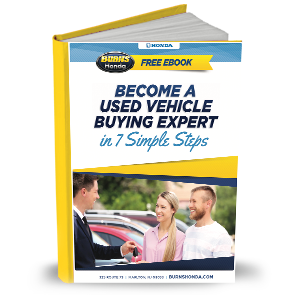 On top of that, this FREE eBook comes with a collection of convenient coupons that’ll help you save some cash when it’s time for you to purchase your used automobile. Don’t wait around to take advantage of all the perks packed into this Used Car Buying Guide eBook. Start learning more by clicking the download link today! That way, you’ll know exactly how to identify the right pre-owned vehicle for you.